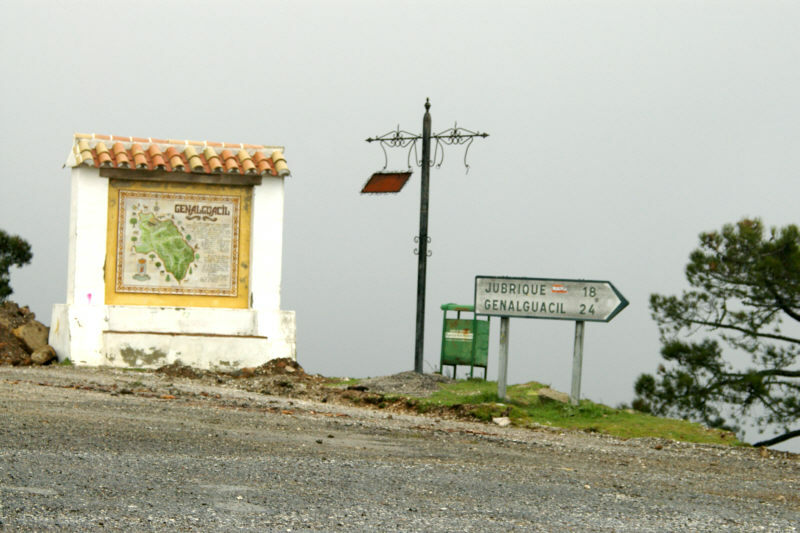 We arrived at Puerto de Peñas Blancas (Pass of White Boulders) amid the coulds, wind, and a little bit of rain. Unfortunately we could not read the old iron sign that was flapping in the wind. Field Notes: Saturday February 21, 2004. Other photos about Spain - Andalucia or Sierra Bermeja.